PMA Newsletter – ¡Enrólate hoy mismo! US-owned China-based manpower, expertise & infrastructure for clients that wish to outsource supply chain management & manufacturing. A China business blog written by professional buyers for professional buyers. AsiaBridge manages your legal issues in Asia so you can focus on growing your business back home. 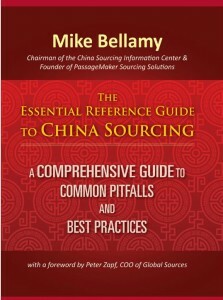 The Essential Reference Guide to China Sourcing: a comprehensive guide to common pitfalls and best practices. Available on Amazon or visit the website below to learn about the book and author. A comprehensive guide to reputable and affordable service providers! Online training for purchasing professionals, buyers and importers. AmAsia is a Hong Kong-based private equity firm with administrative offices in Shenzhen, China supporting investments across the developing Asian economies. Founded by Mike Bellamy, financed by the Tong family and supervised by the PassageMaker Group, AmAsia provides a unique blend of capital, infrastructure and managerial expertise. © 2019 by PM Advisory Group All Rights Reserved. PassageMaker Advisory Group (PMA): Providing advisory support, strategic consulting, financial analysis and brand management to companies in the PassageMaker Group.